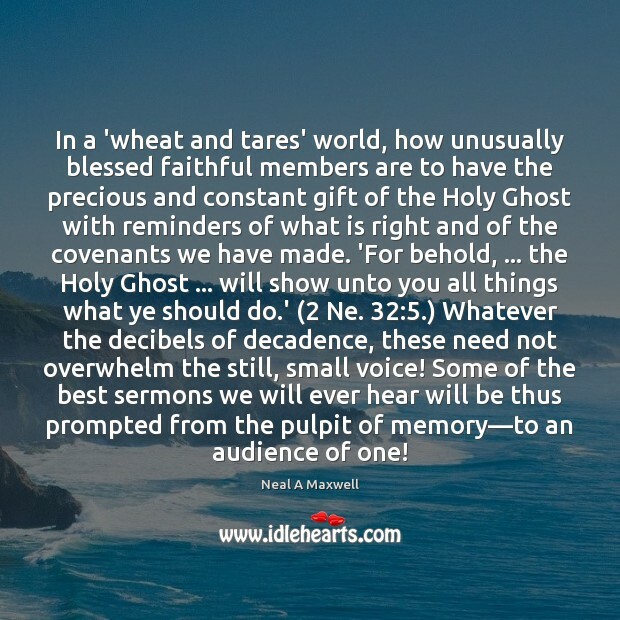 Quotations about Audience Of One. Quotes to stimulate mind and drive action! Use the words and quote images to feed your brain inspiring things daily! There are times I'm completely uncomfortable with my works being performed publicly, and I haven't attended certain concerts because the prospect is akin to having a diary read on stage. 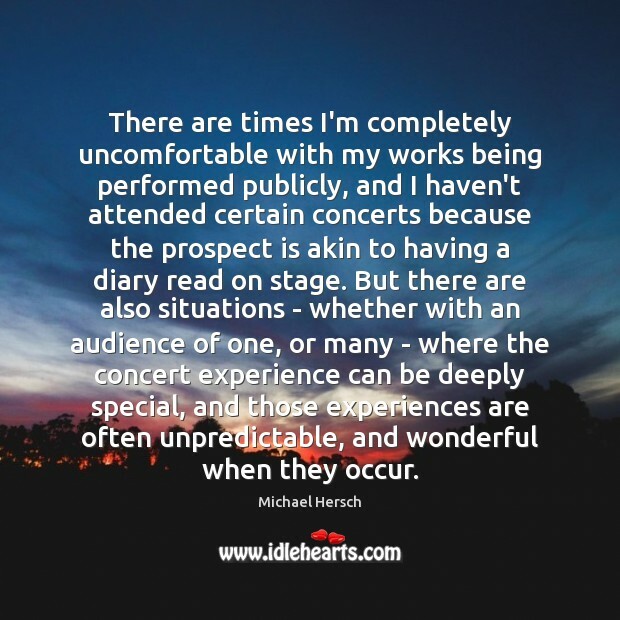 But there are also situations - whether with an audience of one, or many - where the concert experience can be deeply special, and those experiences are often unpredictable, and wonderful when they occur. When I was younger, I wanted to own a circus and create this bizarre revue that went from town to town. 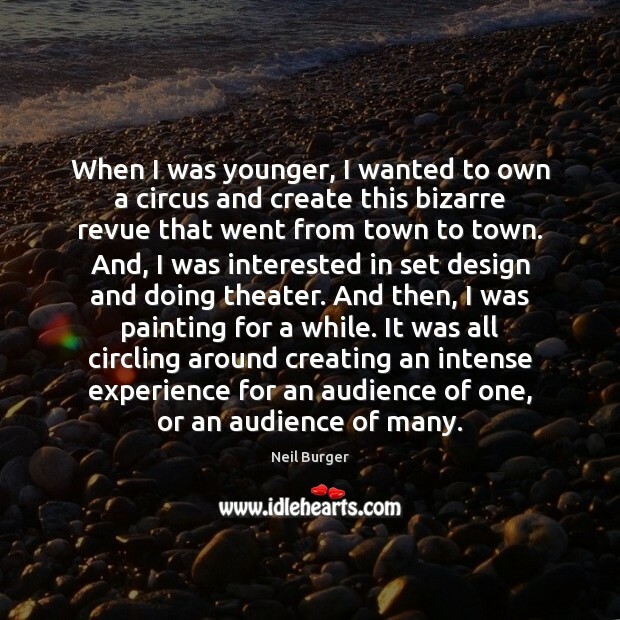 And, I was interested in set design and doing theater. And then, I was painting for a while. It was all circling around creating an intense experience for an audience of one, or an audience of many. 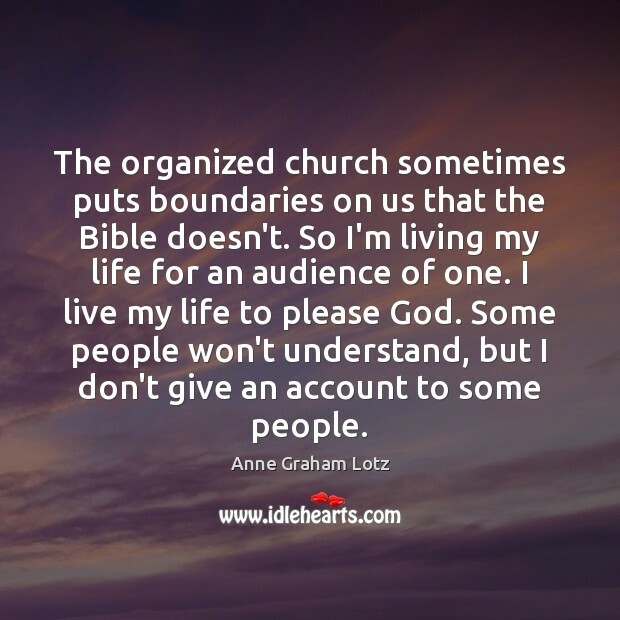 The organized church sometimes puts boundaries on us that the Bible doesn't. 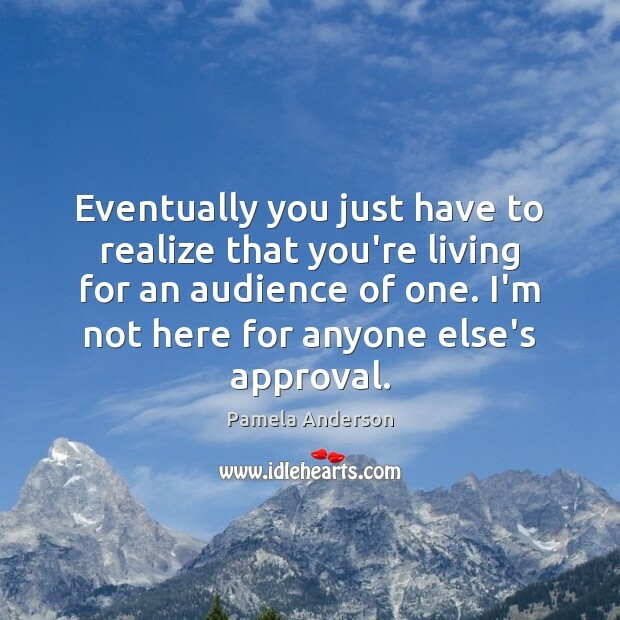 So I'm living my life for an audience of one. 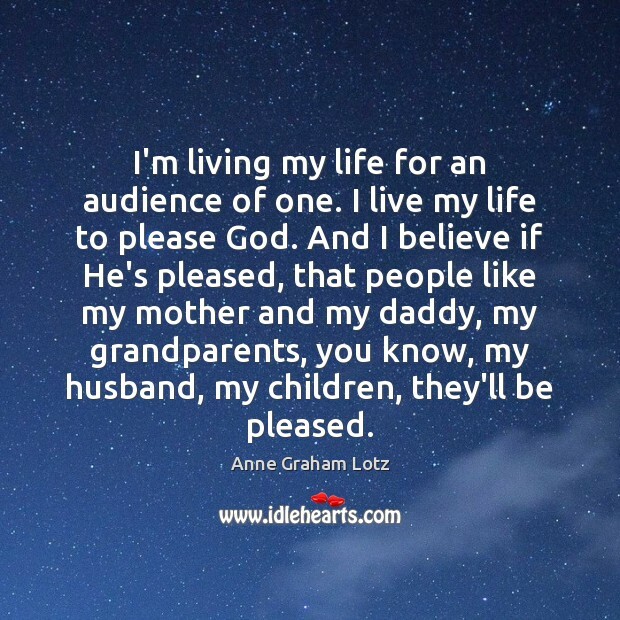 I live my life to please God. Some people won't understand, but I don't give an account to some people. 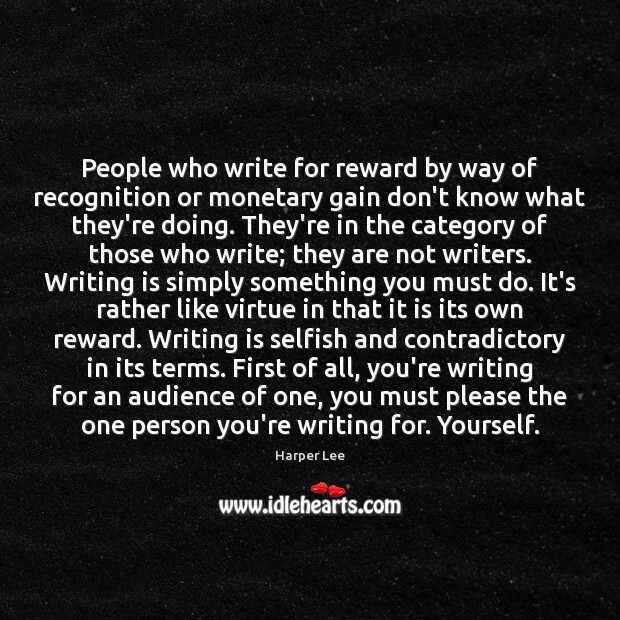 People who write for reward by way of recognition or monetary gain don't know what they're doing. They're in the category of those who write; they are not writers. 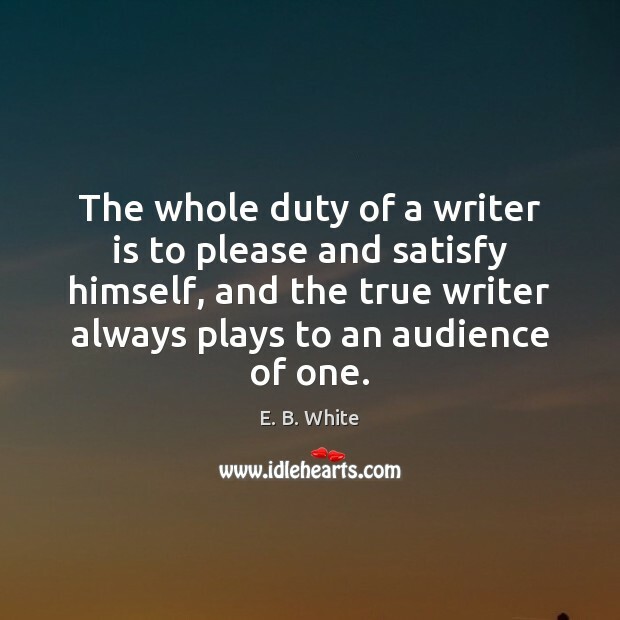 Writing is simply something you must do. It's rather like virtue in that it is its own reward. 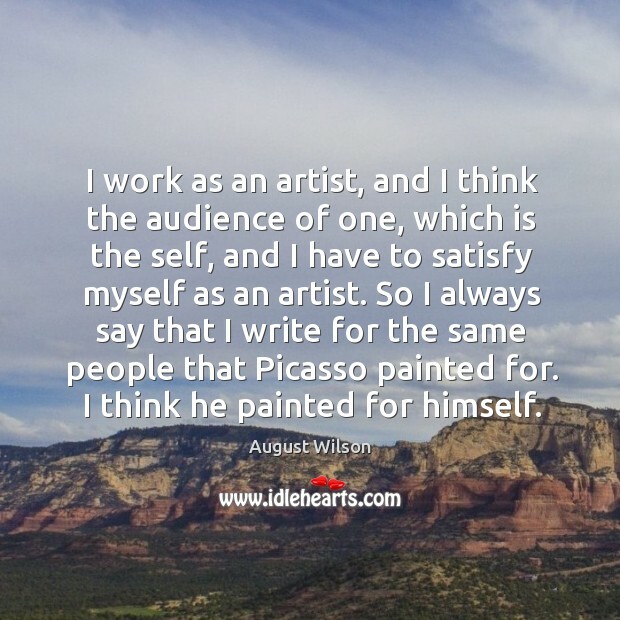 Writing is selfish and contradictory in its terms. First of all, you're writing for an audience of one, you must please the one person you're writing for. Yourself. 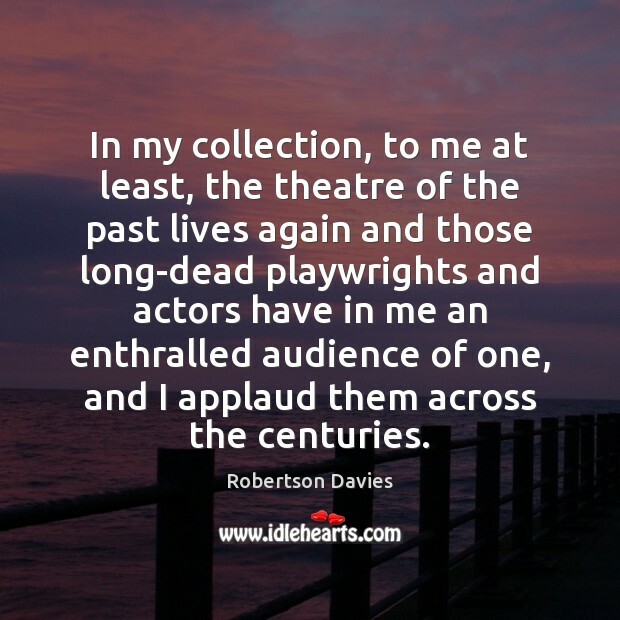 In my collection, to me at least, the theatre of the past lives again and those long-dead playwrights and actors have in me an enthralled audience of one, and I applaud them across the centuries. 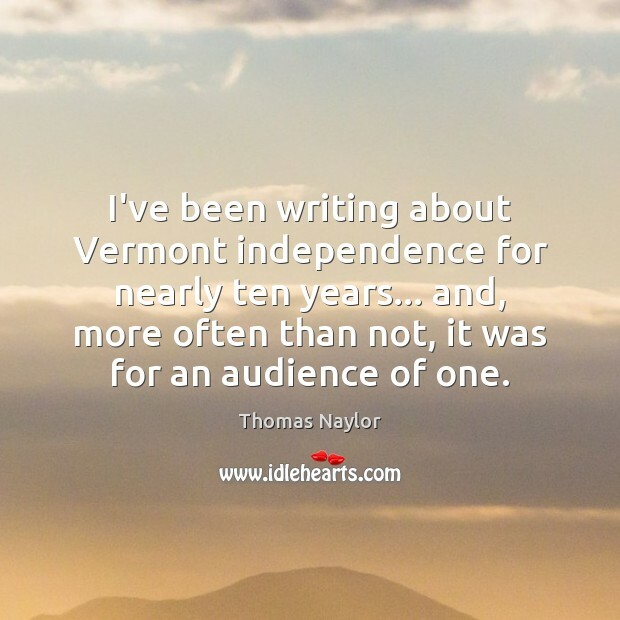 I've been writing about Vermont independence for nearly ten years... and, more often than not, it was for an audience of one. 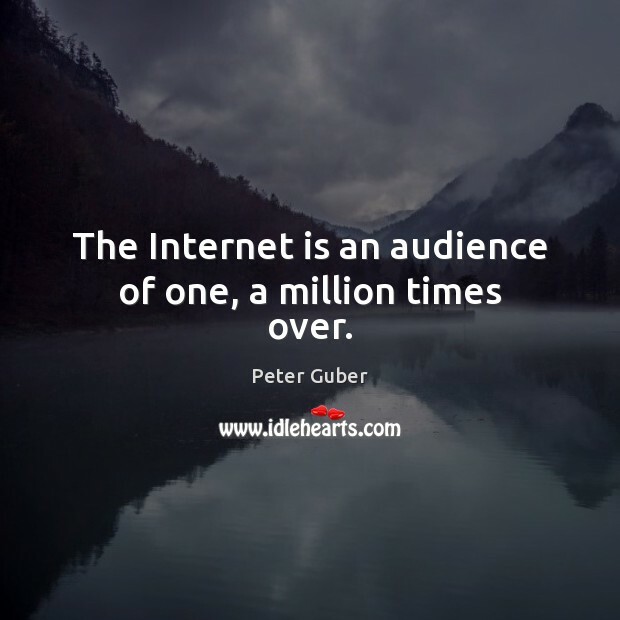 The Internet is an audience of one, a million times over. 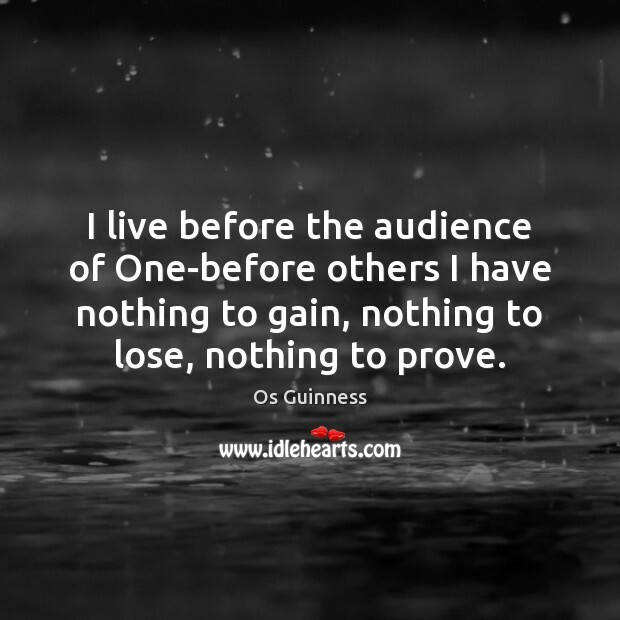 I live before the audience of One-before others I have nothing to gain, nothing to lose, nothing to prove. 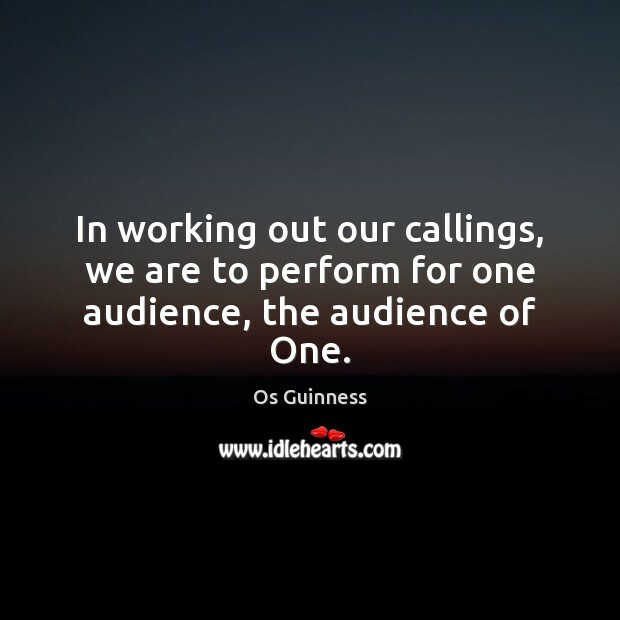 In working out our callings, we are to perform for one audience, the audience of One.